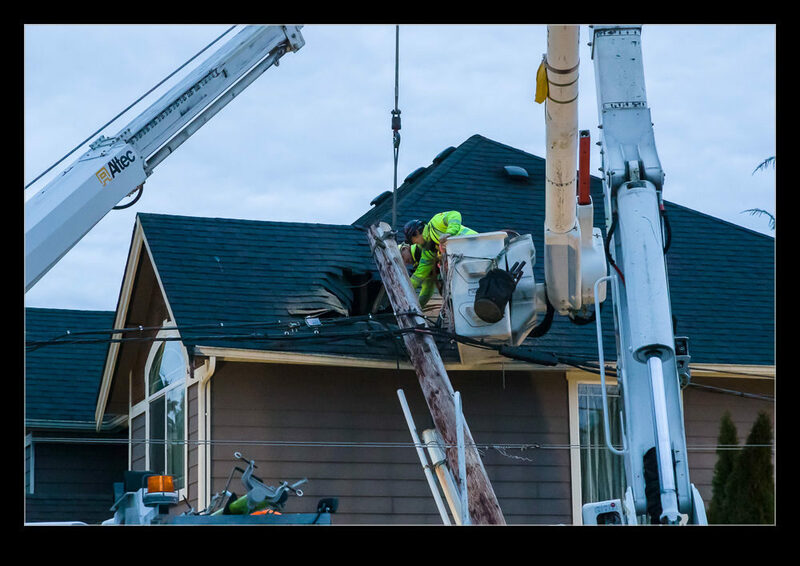 If you take a garbage truck and attach it to a power pole that you aren’t supposed to attach it to, you are likely to cause some trouble. We had a blackout as a result of such an event. 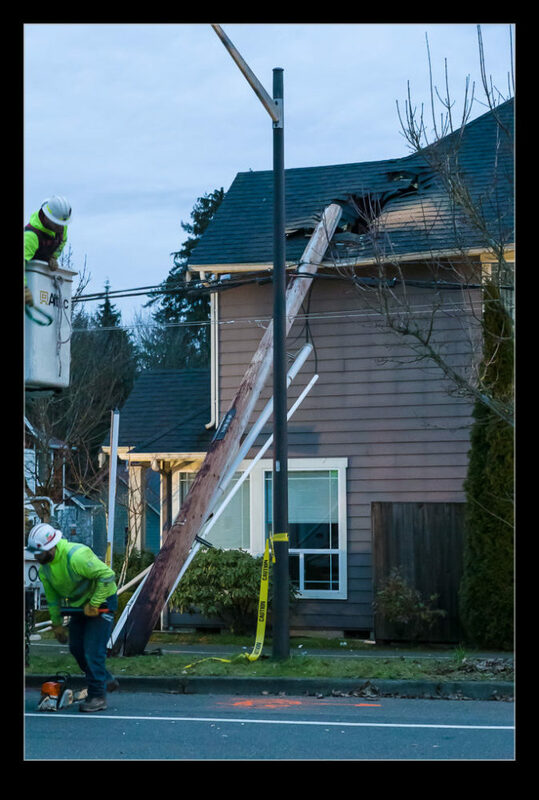 The pole ended up punching a hole in the roof of a nearby house (thankfully it wasn’t raining) and power to our area was cut off. I got home as the light was fading and got a few shots of the damage. The power lines are strong and they had succeeded in taking down two lamp posts as well. I popped back out to see how things were progressing and to watch the teams at work fixing the situation. Making the initial pole safe took a lot of time as bits of it were removed. 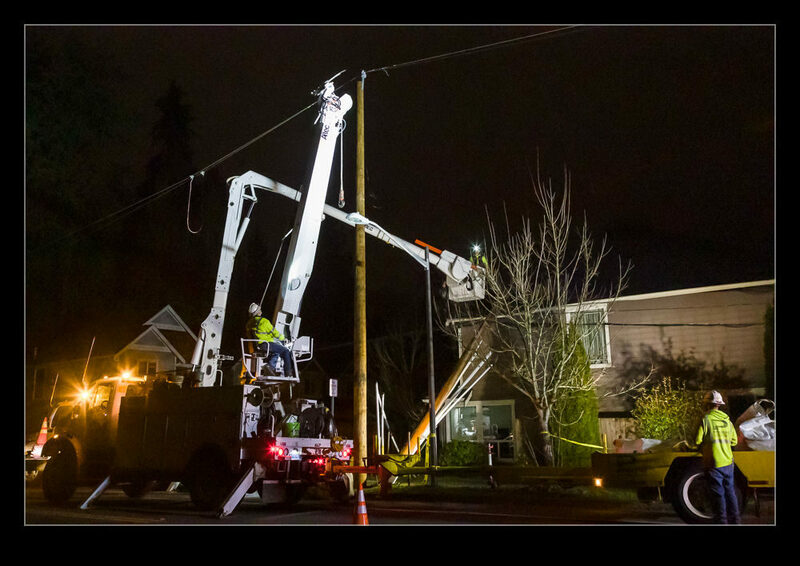 A new pole was put in place and the old pole lifted back up and attached to the new one. I assume this was a temporary fix. Focus then shifted to the next pole which was leaning at an angle that suggested it had taken a bit of the load too. This one just got straightened up and didn’t need to be replaced. I gave up watching after a while since I preferred to be indoors in the warm. Power came back on at 9pm so we were able to sort out the things that had been cut off before turning in for the night. 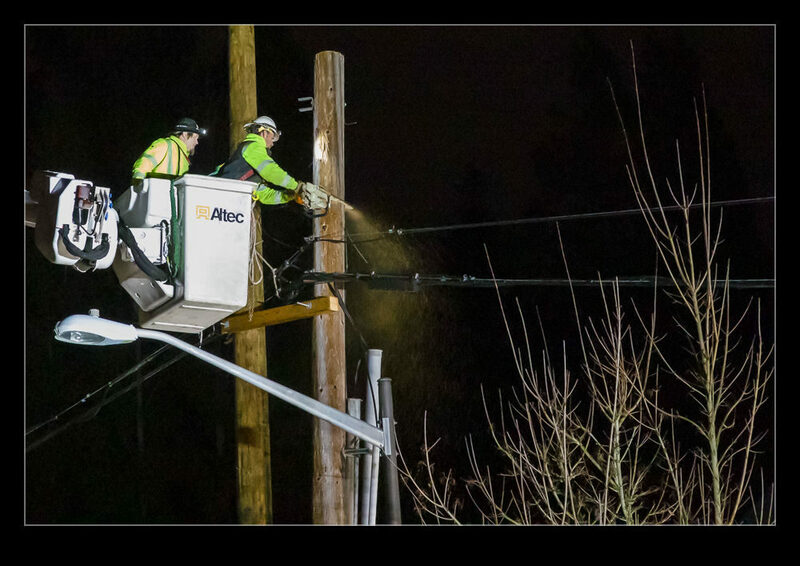 This entry was posted in Pacific Northwest, photo and tagged blackout, damage, night, photo, pole, power, PSE, repair, washington, woodinville. Bookmark the permalink. That was a bit of excitement Rob !